Passengers at the MacArthur BART station were stunned to hear about the discovery of a rifle in a case on the platform during the Thursday morning commute. BART police said an employee spotted the case under a bench around 8:55 a.m. and found a Winchester .22-caliber rifle inside. Commuter Melody Davis, of Oakland, was wondering who put it there and why. "I'm against violence so that makes my heart heavy," she said. 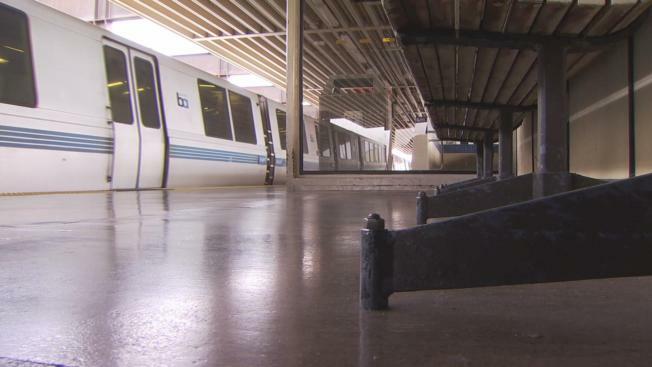 "Who is to say it's not for an intended victim on a BART train. A guy got killed at West Oakland. Let's be real." Davis was referring to the still unsolved deadly January shooting on a BART train, an incident that forced the transit agency to reveal many of the cameras on its trains are decoys and not actually operating. BART did not say whether the rifle was loaded. But police said the weapon is not known to be associated with a crime. Many passengers are relieved it's now in the hands of police. But they also said BART should inform passengers when weapons are discovered to raise awareness and encourage people to be vigilant.